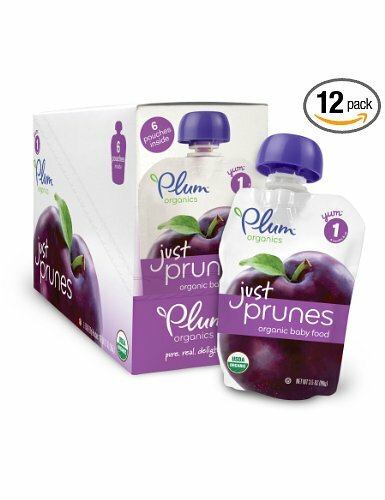 Plum Organics has announced that it is recalling it’s popular kids pouch products as a manufacturing defect may cause possible spoilage problems. As parents we all need to be aware of food safety issues so here are the essential things that you need to know about the Plum Organics Kids Pouch recall. The pouch products that are being pulled off shelves include: Baby Stage 2, Tots Mish Mash and Kids lines. The issue is spoilage – meaning that the product may no longer be safe to eat. The defect causes some packages to appear swollen. How do you know if you have one of the recalled Plum Organics products? Parents should not feed the pouches to their children. If a child eats them it is thought it could result in gastrointestinal issues. If you have purchased one of the affected pouches should contact the Plum Organics Consumer Hotline at (866) 495-3774. You can also send an email to info@plumorganics.com with the subject line “Replacement Voucher” to request a product replacement voucher. Include your first and last name, full address, phone number, Best By date, and the number of affected pouches. Have you been affected by the Plum Organics recall? Leave us a comment – we would love to hear from you. Disney Princess Deluxe Tea Set for $0.98! Awesome Deal! Quilted Northern Ultra Plush Down to 23.5 Cents Per Roll! This is very scary! Thank you for keeping us up to date. Sometimes the convenience factor takes over, but this article encourages me to stick with making my own organic baby food.